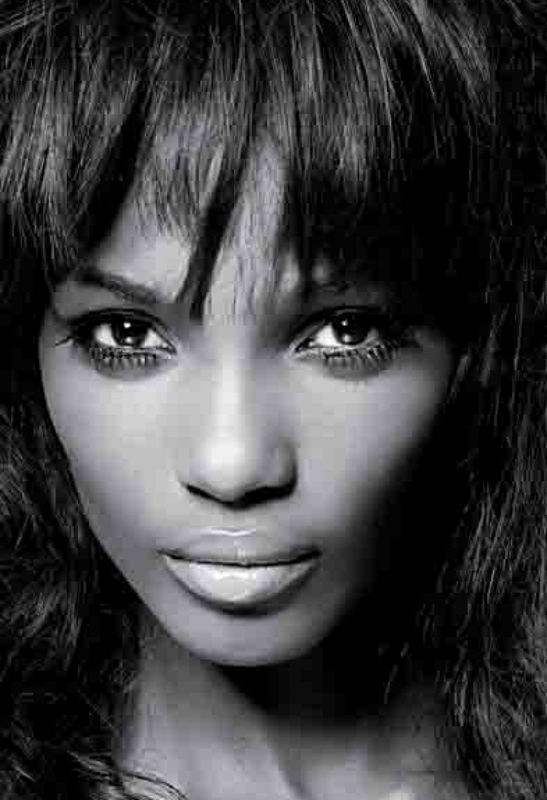 Agbani Darego is a Nigerian model, best known as the first Black African Miss World. Darego hails from Abonnema in Rivers state. She was born into a family of eight children and was raised in D-line. At ten, Darego was sent to boarding school in a bid to shield her from her mother who had breast cancer. Darego's mother died two years later, and her daughter has spoken of how the loss prepared her for the future. As a teenager, Darego longed to be a model, and despite her conservative father's wishes, she auditioned for the M-Net Face of Africa modelling competition, but was not chosen as a finalist. After finishing her Secondary education, she attended University of Port Harcourt where she studied Computer Science and Mathematics. In 2001, Darego was crowned Most Beautiful Girl in Nigeria. Contrary to popular belief, Darego did not replace Valerie Peterside after the latter was dethroned, as she had won Miss Nigeria. A few months later she was a contestant at Miss Universe, and became the first Nigerian to place among the top 10 semi-finalists, finishing seventh overall. She was the only Black African|Black semi-finalist that year, and the only one to wear a maillot as opposed to a bikini during the swimsuit competition. In November that year, she became the first black African to claim the Miss World title (Although past winners such as Penelope Coelen and Anneline Kriel are South African, they are of European descent, and Antigone Costanda, who represented Egypt in 1954 is of Greek heritage). Darego's victory was widely welcomed in her home country, and her one year tenure included goodwill trips and scheduled appearances on behalf of the pageant, and a national honour of MFR. Prior to winning MBGN, Darego featured in print commercials for boutique chain Collectables, and following her stint at Miss Universe was invited by Naomi Campbell to participate in Frock 'n' Roll - a charity fashion show in Barcelona and soon negotiated a modelling deal with Donald Trump's management to establish links with modelling agencies in America. Shortly after her reign as Miss World she was represented by the London and Paris branches of Next Model Management and landed a three-year contract with L'Oréal, becoming only the second Black model to accomplish this feat after Vanessa Williams, and was photographed by Annie Leibovitz for Vogue. Other brands she has modelled for include Avon, Christian Dior, Sephora, Target, and Macy’s. Darego has also appeared in Elle, Marie Claire, Allure, Trace, Stitch, Cosmopolitan, and Essence magazines, working with numerous designers including Oscar de la Renta, Marc Bouwer, Tommy Hillfiger, Ralph Lauren, and Gianfranco Ferre. In her homeland Darego has appeared in advertising campaigns for hair care brand Gentle Touch with supermodel Oluchi, and is currently the face of Arik Air. She has also graced the covers of Complete Fashion, Mania.,ThisDay Style,Genevieve,True Love, and TW Magazine. Darego has judged numerous pageants, and fashion and modelling competitions including Miss England 2002, Mr. Scotland 2002, and Elite Model Look Nigeria 2012. In 2010 she launched a style and fashion reality show Stylogenic on Nigerian television, and three years later announced her denim range, AD by Agbani Darego, which will include jeans, dresses, and bags. Due to her busy work schedule, Darego left the University of Port Harcourt, but after moving to New York where she was signed to Next Model Management and Ford Models she enrolled at New York University where she studied Psychology, graduating in May 2012.